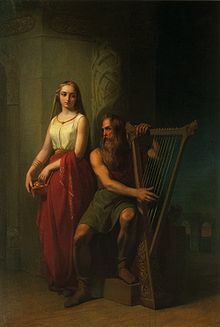 The name of the Norse god of poetry Bragi has been given to the Norwegian literature prize – the Brage Prize. The Brage Prize (Norwegian: Brageprisen) is a Norwegian literature prize that is awarded annually by the Norwegian Book Prize foundation (Den norske bokprisen). The prize recognizes recently published Norwegian literature. Open class – a class which varies each year. Eirik Newth was awarded the prize in 1996 for Jakten på sannheten. 2004 – NORLA – center for Norwegian fiction and nonfiction in foreign countries. Poet Jan Erik Vold won the prize for IKKE in 1993. This page was last edited on 23 November 2018, at 12:12 (UTC).